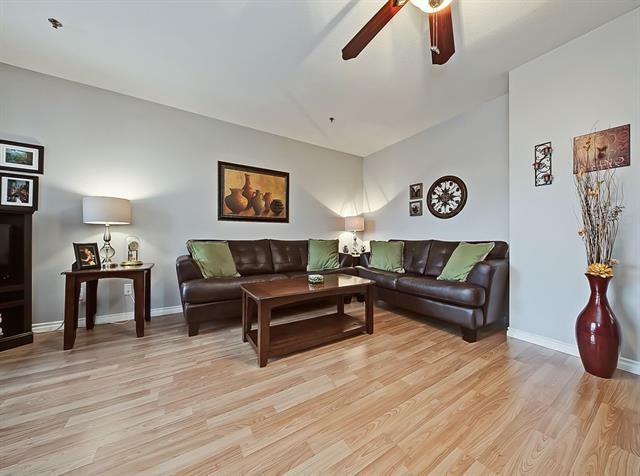 ATTRACTIVE & SPACIOUS TWO BEDROOM + DEN CONDO! 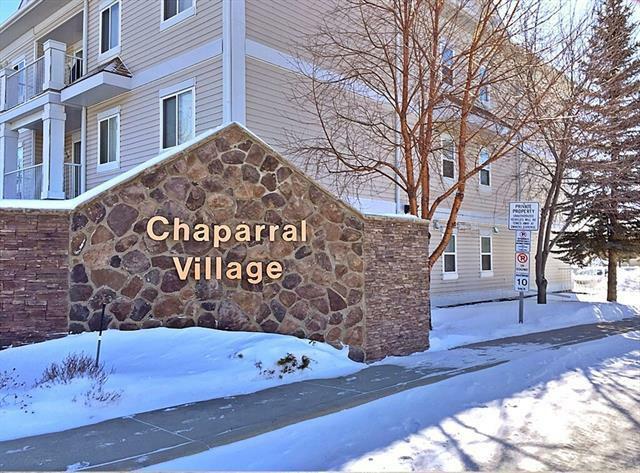 This 1,053 sqft Chaparral Village unit (no age restriction) has been exceptionally maintained & offers one of the most functional plans in the complex with large living & a quiet courtyard location. 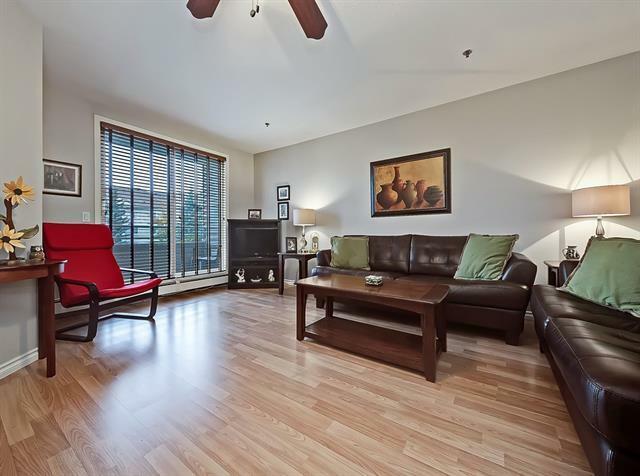 The living room is adjacent to the dining area & has a bright SW patio door opening up to the patio (with BBQ gas line) & the kitchen has plenty of counter & cupboard space, a breakfast counter & full appliance package. The master bedroom is very spacious & has a walk-through closet & 4-piece ensuite bathroom & the second bedroom is almost as roomy & across from the main 4-piece bathroom. The layout is completed with a very useful den/office/flex room & a good-sized laundry/storage room with enough room for a freezer. Additional features include a full blinds package, laminate flooring, assigned storage locker, social & fitness rooms, titled underground parking & more! 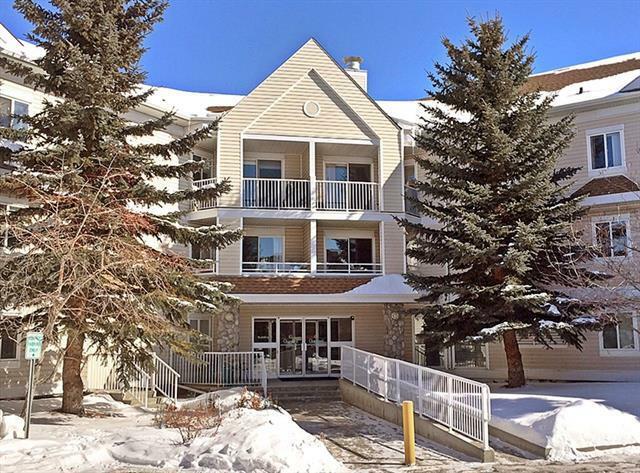 Located close to the ridge & Fish Creek pathways, shopping, schools & playgrounds. Welcome Home.